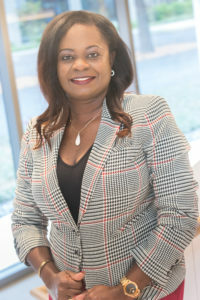 Phyllis Agyeman is a versatile and knowledgeable accounting specialist with high skills in administering and supporting financial operations and directing productive accounting team. She has over 18 years of experience in financial statement preparation and analysis, audit preparation, month/year end closing, and reconciliation with a sound understanding of GAAP and SOX. As a top performer and effective accountant, she is capable of formulating internal controls and procedures that increase efficiency and enhance accuracy. Phyllis started her career as an assistance to the CFO of Bay National Bank in Maryland where she spent 4 years performing various corporate accounting functions, such as month-end close, financial statement preparation, quarterly/annual SEC filings, and banking and federal reserve regulatory reports. She also assisted with credit worthiness of commercial clients analysis and customers’ financial write-ups. Phyllis Agyeman continued her career with National Oilwell Varco (NOV) – Tuboscope as a Division Assistant Controller. Initially enlisted to fill Senior Accountant role with National Oilwell Varco – Mono Pump, she was promoted within a year to Accounting Manager/Senior Intercompany Accountant with National Oilwell Varco (NOV) – Tuboscope where she held full responsibility for Tuboscope’s intercompany financial activities. She was further promoted to lead 15 accounting personnel, examine balance sheet integrity, and perform account analysis and reconciliations to confirm adherence to GAAP. Other responsibilities included reconciling and reviewing of general ledger, accrual, and month-end entries, as well as implementing and maintaining of internal controls and liaised with internal/external auditors. From 2011 to 2015, Phyllis Agyeman relocated to Ghana with her family and joined a growing digital printing and multimedia company – ColorMax Ghana to preside over accounting and financial analysis activities. Her responsibilities included managing 6 employees and offering guidance to senior leadership regarding business administration and internal control standards. Prior to The Strategic CFO, Phyllis worked as a Consultant providing outsource accounting and financial services, performing consolidated financial statements, and implementing software.